Walt Disney World is about having fun and making memories. Sometimes, and I know I myself can be to blame for this, we as a community can take things a little too seriously. So, today I wanted to give you one more way to loosen up while you’re on a vacation. Now, I’m not one to generally purchase on-ride photos, I have after all been on most of those rides more times than I could count. Save for the occasional photo, such as when my wife and I were alone in our Splash Mountain flume log and I leaned over to give her a peck on the cheek as we started our plummet, these photos do not mean as much to me as guests on their first visit. But in that photo of my wife and I lies the answer for us veterans of touring, make the photos memorable. 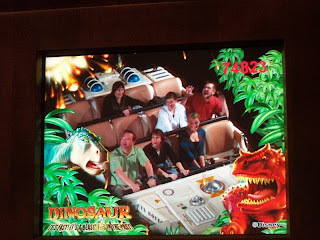 Over the past several years, I have begun to growl at the Carnotaurus or hide my wife from his pearly whites on Dinosaur. I’ve been known to throw up the horns on Rock ‘N’ RollerCoaster or pretend to be zombie on The Twilight Zone Tower of Terror, and I‘m known for faking a nap on both. 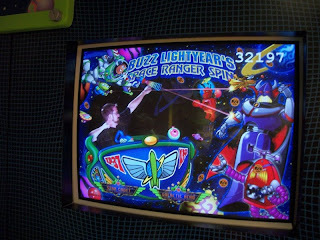 Oh, and Buzz Lightyear, let me just say my superhero pose is dead-on. Really, any random idea that I think will spice up a photograph, in a family friendly respect, I’ll give a whirl. I’ve been called a goof and idiot by friends and family, but they also know to check the photos after a ride instead of just walking by. This may seem counterproductive to obtaining lifelong memories of a trip, but give that a second thought. When working with PhotoPass photographers, do you remember the moment when they took the nice family portrait or the moment with Tinker Bell or a yeti claw and howl? Letting loose and having a good time, regardless of who is going to see you make a goofy face, or wear a pair of Mickey Ears, is what a trip is all about. For all of you grizzled passholders out there, just remember that the next time you get onboard Expedition Everest. And then, let your wild side out just before the drop! Is there anything more magical than a first haircut on Main Street U.S.A.? ZannaLand hostess, Suzannah DiMarzio, shares her recent experience. Shawn Slater sheds some light on the watery circumstances surrounding two temples in the midst of revitalization on DisneyShawn. Over at The Disney Food Blog, AJ has unearthed the hiring of an executive chef for Aulani’s restaurants. Studios Central had a lot of great articles this week, but chief among them was the reasoning of Matt Hochberg, suggesting there is still a reason to visit Voyage of the Little Mermaid. George Taylor gives us his honest review of Walt’s People, Volume 10 at Imaginerding. Imagineering Disney gives us a glimpse, or should I say earful, into the creation of attractions' sound. How can not working for Disney make someone create a better quality Disney experience? J. Jeff Kober explains at Disney At Work. Thomas Smith announces the lineup for the 2011 Flower Power Concert Series on the Disney Parks Blog. Melissa Loflin takes Makin' Memories readers on a tour of the rooms and little touches found at the Boardwalk Inn and Suites. Only WDW scribe, Jamie Collins, examines the stylings and stage dressing of Off Kilter. Disney’s Hollywood Studios has always been a friend to Roger Rabbit and the fountain of entertainment known as Who Framed Roger Rabbit. This is especially true of the early years of the park, then known as Disney-MGM Studios, which opened in 1989, just a year after the film had been released. In those days, guests could visit the recreated warehouse from the film which housed Marvin ACME’s Gagworks. 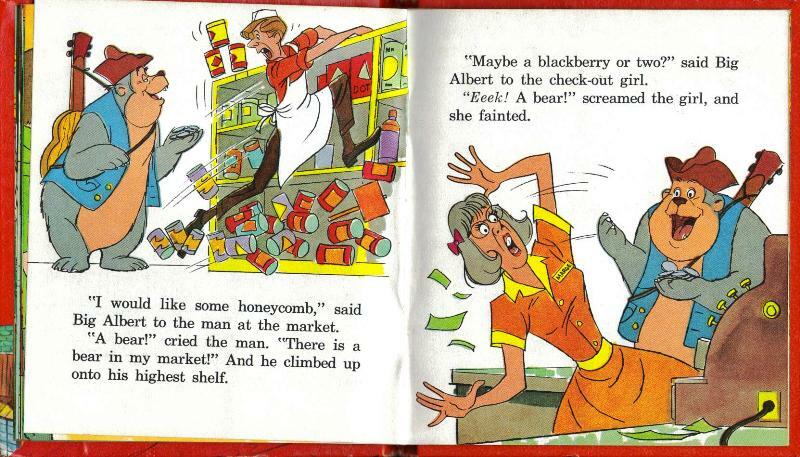 Inside were boxes crates filled with an assortment of toon sound effects, cutout characters for family photographs and sight gags that filled every shelf and hung from the rafters. Vehicles from the movie, including the nefarious Dip Mobile and the weasels’ Toon Patrol truck, could also be found parked in the warehouse. The truck, a black Dodge Humpback emblazoned with the symbol of the City of Los Angeles, was the means of transportation for the five weasels of the Toon Patrol, as well as means of transferring ‘criminal’ toons into the custody of Judge Doom. While the weasels, who were modeled after the animated weasels featured in the Disney short The Wind in the Willows, met their maker in the final scenes of Who Framed Roger Rabbit, the Toon Patrol paddy wagon found a second life after the shuttering of ACME Gagworks area of the Studios. Today this toon transport can still be found at Disney’s Hollywood Studios, along with a large assortment of other vehicles from film and Disney theme park history, in the Backlot Express restaurant. Just venture to the covered patio dining area and you’ll find the Toon Patrol, still looking for out of control toons. There is a theater buried in and around the roots of the Tree of Life in Disney’s Animal Kingdom. If you’ve ever heard of the effect-laden film It’s Tough to be a Bug, then this comes as no surprise to you. What may be surprising is the story presented throughout the queue that may gain a giggle, but is often brushed aside like a fly. No, I’m not talking about the ornate animal carvings that blend into the creases of the Tree of Life’s bark or even the carving and plaque dedicated to Dr. Jane Goodall, I am speaking about the posters advertising the upcoming performance of It’s Tough to be a Bug and the previous productions put on by the Tree of Life Repertory Theatre. First introduced in the exterior queue surrounding the Tree of Life are a selection of posters highlighting the various acts of It’s Tough to be a Bug. This creepy, crawly circus of sorts is a departure for the cast of the Tree of Life Repertory Theatre who are obviously more at home adapting Sondheim or cribbing from Tennessee Williams. The company’s list of credits, judging from the posters that line the lobby’s mud walls, include: The Dung and I, Antie, Beauty and the Bees, A Cockroach Line, Barefoot in the Bark, The Grass Menagerie, My Fair Ladybug, Little Shop of Hoppers, A Stinkbug Named Desire, and Web Side Story. There are three portions of these poster that should be marveled at. One, their play on the posters from the original productions, such as the swap of the Beasts silhouette from Beauty and the Beast for that of a Bee on Beauty and the Bees. Secondly, the copious amounts of insect information provided on each poster about the lead bug, including that ladybugs produce a natural antifreeze. Lastly, the throw away details that were added to the posters, the reviews from notable critics like The Odor-lando Scent-inal. Don’t make me keep bugging you about it, take a magnifying glass to the posters yourself, but only to look at the posters, not to set their stars on fire! Liberty Inn, the Publick Dining Room off to one side of The American Adventure, has been a longstanding joke amongst those who frequent the eateries of World Showcase. There is a richness and breadth of variety to the food of World Showcase that makes guests wish for something more than hot dogs, chicken nuggets and hamburgers, especially when the American fare is so poorly prepared. Perhaps though, with the recent additions during the hamburger reformation of 2011 the case for Liberty Inn has changed. In an effort to give the quick service location every opportunity to change its wayward methods, I gave one of the new burgers a once over. The third pound Angus burger is accompanied by bacon, smoked ham, smoked Gouda, red onion slices, tomato, lettuce, pickle and a mustard aioli sauce. This burger is the opposite of healthy, but the smokey flavors of the ham and Gouda and the addition of two kinds of pork give it a foothold in the burger household. The inclusion of the pickle and mustard aioli give the sandwich a nice tangy kick to counterbalance the smooth, smokiness inherent in the meats and cheese. My dining counterpart and better half sampled the vegetable burger, which consisted of a veggie patty, Monterey Jack cheese, avocado, lettuce and tomato. While I did not sample the new vegetarian option (did I mention my burger was beef with two kinds of pork? ), my wife was pleasantly surprised by the offering. All in all, the two new burger offerings do not change the structure of the menu at the Liberty Inn, but they do rearrange the array of flavors and my opinion of the dining hall. While there are still more diverse offerings in World Showcase, Liberty Inn now offers an easy out for parents of picky ‘I only want chicken nuggets’ eaters. Fort Wilderness has always been my respite from the rest of the world, even when I am at Walt Disney World I need a break every once in a while. To wander the trails, sit on the shore of Bay Lake, reminisce about my childhood, find remnants of a Fort Wilderness few remember these days and maybe grab a couple of pieces of the best fried chicken I’ve ever had is an experience I cling to desperately. Having not been able to interact with Fort Wilderness for its first decade, due only to the fact that I hadn’t been born yet, inevitably leads me to collect pieces from that era of the camp going experience. Case in point, this terrific rack card from the 1970s. Rack cards have been around as long as people have piled into motor vehicles to hit the open road. The narrow cards use engaging images to entice travelers to divert to the advertised hotel, attraction, landmark or restaurant. This Fort Wilderness card appears to have been printed on a wooden plank, with highlights from the resort’s recreational endeavors being highlighted in photographs and the more benign offerings stressed in the text portion. To top off the experience, the characters of Br’er Bear and Br’er Rabbit are used to emphasize the rustic nature of Fort Wilderness and to remind passersby that you never know who you might meet once you step inside the borders of the Vacation Kingdom. Unlike the majority of rack cards that include a map to the destination, the map on the flip side of the Fort Wilderness card shows the location of Fort Wilderness, but only in relation to the rest of the Walt Disney World property. This map also exploits characters, Br’er Bear returns to enjoy the great outdoors, and this time he is joined by Goofy in golf attire and Donald Duck as a water-skier. These are classic interpretations of the characters, but the true gift of this map comes from the striking designs depicting Cinderella Castle, Contemporary Resort Hotel and the Polynesian Village. As much as I love Fort Wilderness, I am ashamed to admit these simple, elegant designs are the real reason I added this card to my collection. I could expand upon the fine details associated with 1970s Walt Disney World graphic design, but there is already an excellent resource at Passport to Dreams Old & New. Be sure to check out their article, Iconography, for more on how the little things matter when designing. If there is one thing Walt Disney World has known how to do since its inception, that is take a basic attraction from off of the rack and dress it up for a night on the town, or forty years worth of nights on the town. Space Mountain is not the world’s greatest rollercoaster, but it certainly has its fans that would rank it number one. Honey I Shrunk the Kids Movie Set Adventure is an overgrown playground that, while set in the late 1980s, children still flock to and enjoy in the midst of some of the greatest attractions this side of Disneyland. Sometimes, however, just sometimes the cost of such attractions overreach their potential. Such an overextension comes in the form of Shrunken Ned’s Junior Jungle Boats. Set up along the exit of the world famous Jungle Cruise, the Junior Jungle Boats are a set of remotely controlled steamer boats where guests can pilot their watercraft through perilous spike-filled waters, around tiki idols, beneath stone icons and past headhunter territory. This watery recreation lasts a few minutes and includes a captain’s wheel and a throttle for forward and reverse movements. The cost of this self-guided tour is two dollars, and does not come with a money back guarantee. I appreciate the boats, and take time to test my piloting skills (which usually requires me to spend a great deal of time in reverse trying to get back to where I misjudged a turn) every few trips but the cost to benefit ratio is just not there. The fact that the Junior Jungle Boats are an extension of the Jungle Cruise experience and has not been transmogrified into a gift shop is another fact that has not been lost on me. However, when compared to other extracurricular activities in the park, Shrunken Ned’s appeal begins the shrivel. Tom Sawyer Island is a wealth of child-friendly activities, from barrel bridges and wonky caverns to rifle roosts in an old fort, and costs nothing more than the investment of time. Perhaps the single most comparable attraction to the Junior Jungle Boats is the firing range known as the Frontierland Shootin’ Arcade. Another test of skill, the interactive target game allows thirty shots for one dollar. The two experiences take about the same length of time to enjoy and supply equal amounts of fun and smiles for younger guests. Despite the number of Mickey ears, balloons and ice cream bars seen throughout the parks, guests are shrewd with their vacation dollars. Which explains why more often than not I see burgeoning crowds at the Frontierland Shootin’ Arcade and only a scant few skippers-in-training at Shrunken Ned’s. Thankfully, the pay-for-play attractions at Walt Disney World are few and far between, and most times live up to their additional cost. In the case of Shrunken Ned’s Junior Jungle Boats, the solution is simple and easily acquired, reduce the cost and they will come. Restaurantosaurus, found deep within the heart of DinoLand U.S.A. in Disney’s Animal Kingdom, is a mishmash of facilities with a storied history. From the oil stained garage complex and to the canvas bunk room now used for a storage space to the grand fishing lodge, turned original Dino Institute, turn dormitory for the graduate students working on various projects and digs, the vast number of layers and stories are fascinating. Perhaps none more so than this innocuous Airstream travel trailer. With a side cut out, the trailer offers enough room for two spacious booths and a jukebox, and is the perfect addition the hang out spot frequented by the grad students known as The Hip Joint. The exterior of the Airstream would not be complete unless adorned by the students trademark -osaurus game, where -osaursus is attached endlessly to words found throughout the Restaurant (sorry, Restaurantosaurus), in this case applied to the word International-osaurus. Also, in order to remove the word Airstream from the trailer, the students have rearranged the letters to form the sentence, I ARE SMART. One of the more intriguing tales from the construction of Restaurantosaurus was the fact that this addition was home grown. That is to say, the Airstream travel trailer was purchased by Imagineers for the project from the grandmother of Imagineer Todd Beeson. Not being artistically inclined myself, but having enjoyed the medium since I was a wee lad, I have got to believe that it is more fun to animate villains than heroes. Their wardrobe is sensational, their accessories are priceless and their look is incredibly distinctive, what’s not to love? Oh yes, I forgot one thing, how expressive their eyes are. Inside the Villains In Vogue section of World of Disney at Downtown Disney, not to be confused with the Villains In Vogue shop found inside of Disney’s Hollywood Studios, the best attributes of the worst villains have found a home, or should I say hideout? Artists have found a way to animate the dramatic glares of four classic villains in mural collages. The nuances of each piece, the details that can be gleamed from them and the life that is brought to each character is remarkable. Even though they are artistic representations, I still found myself with a shiver spiraling down my spine. Just under the cutoff for New Year’s resolutions, Walt Disney World announced several new designer burgers that would begin appearing on menus all around property. With this announcement coming just days before my scheduled trip to the Vacation Kingdom for the annual event known as Marathon Weekend, I begrudgingly took it up myself to sample a few of these new offerings. The first burger we’re going to look at comes to us from Backlot Express in Disney’s Hollywood Studios. This cheeseburger comes decked out with sweet onion, sliced not diced, lettuce, tomato, diced avocado, cheddar cheese and special sauce. Oh, and it is worth mentioning that the burger portion of this sandwich is a third pound (prior to cooking) Angus patty. Even with all of the veggies piled high atop this burger, I am not going to insult anyone’s intelligence by stating it is a healthier option than some of the other burger offerings found around Walt Disney World. The question is, how does this vegetable combo stack up? From the first bite to the last, the lettuce, tomato and onion all retained their crisp, fresh potential. Elsewhere in the burger, the cheese and special sauce added a nice bite to the entrée, even if I couldn’t deduce the flavors in the sauce. The bun itself never became soggy, but did succumb to the tectonic shift of the sandwich’s layers due to the avocado. Don’t get me wrong, the avocado was a delicious addition to the sandwich, but the chunky nature of the element felt more like a homemade guacamole. The texture of the avocado made this a very messy burger to devour, but I persevered. Perhaps a better vehicle for the avocado in this situation would be to add slices of avocado, not the chunks. All in all, this is a burger worth a taste test, especially if you like avocado in your sandwiches. It may be messy to eat, make sure to grab a fork before you sit down, but the mixture of flavors and fresh veggies will make it all worth it. Children’s books and Walt Disney World have a curious history. Perhaps the most curious part of their relationship is the fact that publications, from in park souvenirs to Little Golden Books, were produced time and again in the early years of the park and then the line of books seemed to abruptly stop. The Country Bear Jamboree, an opening day attraction at Walt Disney World’s Magic Kingdom that soon spread to other parks, had a book all its own, Big Albert Moves In. In this children’s book from 1971, Big Albert is a bear that likes to eat and play his guitar, but is slow to worry about winter. 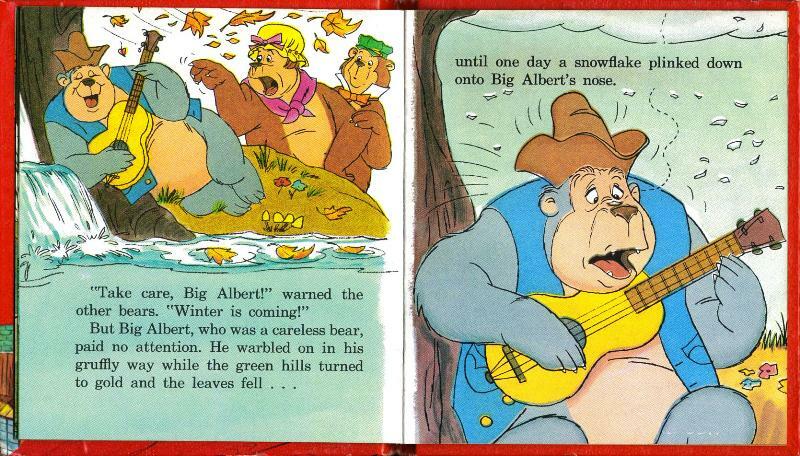 When winter arrives and Big Al isn’t welcomed in their homes, his misadventures begin. 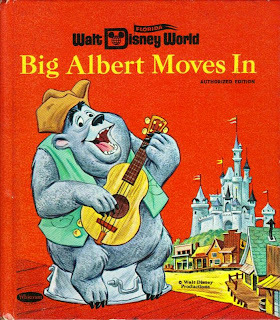 Finally, and this shouldn’t spoil the book or attraction for anyone, Big Al comes to the Magic Kingdom, finds Grizzly Hall, and is invited to stay as one of the performing bears. 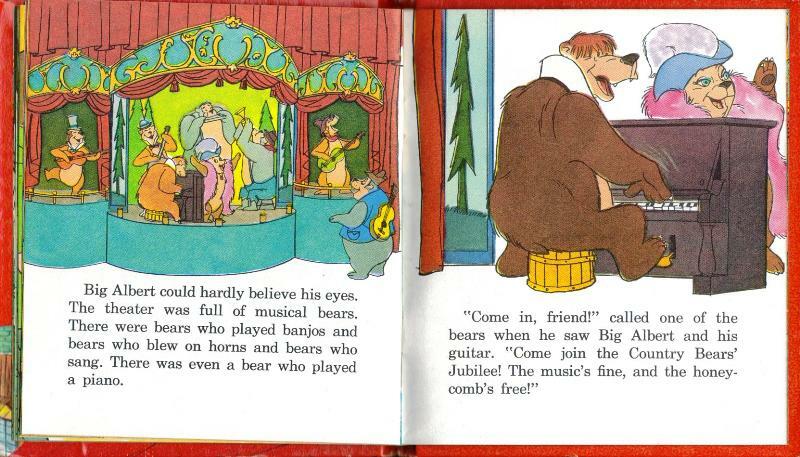 The book is fun to read, especially if you have a fondness for the Country Bears or Big Al in particular. 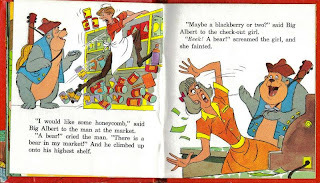 I do wish Big Albert Moves In had more of a lesson to it, as Big Albert does not prepare but eventually finds a life better than the one he had, which doesn’t grant children any insight into a moral compass. As a reminder of a favorite attraction, or preview of what children had to look forward to on a trip to Walt Disney World, however, this book suits me just fine. Forty years ago when Walt Disney World was being constructed, there were only a scant few avenues that kept up to date information on the project. Major news papers across the country, any publication inside the state of Florida, and the Walt Disney World Preview Center were the best outlets available for construction news and ideas about what was coming. Times have changed, but the process by which information is doled out remains stuck in the past. Walt Disney World learned from the Walt Disney World Preview Center that guests wanted to know more and see more about their grand construction projects. So, when it came time to highlight the work being done for EPCOT Center, not only was there a preview center on Main Street U.S.A., but guests could also obtain passage through the construction of the park via the newly completed monorail line to EPCOT Center. When combined with the exhibits of the preview center, this trip aboard the monorail provided the perfect view of Walt Disney World’s future and was the pinnacle of previews. Since then, however, the idea of letting guests in on the secret seems to have vanished. Not since the construction of Disney’s Animal Kingdom has there been a larger project, on a singular site, as currently resides on the backside of Fantasyland in the Magic Kingdom. And yet, guests are relegated to a few bits of information and concept art posted along the front of the refurbishment walls. There is more information available through online resources, but even those communications are often dated by the fact that so few facts are being released. What is missing, for a project of this size, is an actual preview center. Even more important, and blatantly missing, is a way to view the project. Guests are not blind, they see the walls and know what lies behind them, with or without the hints from cranes and steel girders. What they really want to know is what is being built behind the great wall of plywood. Without a monorail whizzing through Fantasyland, the obvious idea for viewing construction in progress would be a viewing platform or, for worldwide audiences, live webcams. Instead, guests’ sole means of catching a glimpse of Fantasyland expansion is by booking passage aboard Dumbo the Flying Elephant. With plans calling for Dumbo to be moved to a new location, soon guests will have no vehicle with which to view the building of a forest. Let me be clear, I don’t believe every refurbishment or project needs, or deserves, a lavish preview. However, with a project the size and magnitude of the Fantasyland expansion, is there really any reason not to let guests in? At this point in entertainment history, when DVDs and Blu-rays come equipped with hours of content dedicated to the construction of a single film, when it is blindingly obvious that guests like to know the how of an attraction almost as much as an attraction itself, isn’t it time to find a way to keep guests more involved in the process? Being able to survey the site daily with streaming video or walk up a ramp and watch the buildings begin to take shape are only two of the options that could have grown out of those preview monorails to tomorrow. The question must not be whether guests should be able to see the future of Fantasyland, but how best to integrate them into the experience. Floyd Norman shares a great narrative on sketching Walt Disney and the history of picking on the boss at Mr. Fun. Michael Crawford showcases a terrific piece of art for a Polynesian Resort that never was at Progress City U.S.A.
Disney Every Day insider, Amanda Tinney, offers a great alternative to Disney’s Animal Kingdom in Kidani Village. With the patience of a Jedi, Matt Hochberg gives readers the breakdown on when to expect a Star Wars Weekend announcement and what events will be on tap this spring at Studios Central. On Imagineering Disney, Fritz shares a miniature recreation of the jail scene from Pirates of the Caribbean. George Taylor showcases the new additions to his library at Imaginerding, and added to my library needs in the process. Thanks a lot, George! SamLand’s Disney Adventures continues to tell the tale of Disney’s America through the pen of Sam Gennawey. Melissa Loflin does an incredible job breaking down her experience with Picnic in the Park at Disney’s Animal Kingdom for Makin’ Memories. DisneyShawn and Shawn Slater examine the history of the submarine fleet found at Disneyland. George Savvas continues his great look at Disneyland past with a pair of images featuring Guy Williams, aka Zorro, in the park on the Disney Parks Blog. AJ takes her foodie followers off the beaten path for a meal at The Fountain on The Disney Food Blog. Disney at Work scribe, J. Jeff Kober, gives readers insight into the maddening times known as Pixie Dust Panic. The Sacred Tree of the Aracuan Bird shares some wonderful cookie jars that proves what pirates have between their ears. Jim Fanning dishes on Walt Disney and his infamous mustache at Tulgey Wood. The Magic Kingdom is filled with myths and legends, some that are based on fact and others that are total works of fiction. When it comes to the stories of Frontierland, the pioneer spirit has always been embodied in the man known as Davy Crockett. But what about the other characters that filled the tales of the King of the Wild Frontier, specifically that braggart turned buddy, Mike Fink. Turns out, he has his own special place along the river. Mike Fink was a real keelboater, often referred to as the king of the keelboaters. His larger than life personality spawned many stories, including his insertion in two episodes of the Disneyland television series that aired in 1955. In the two episodes, Davy Crockett’s Keelboat Race and Davy Crockett and the River Pirates. In the first of the two encounters with Crockett, Mike Fink is portrayed as the King of the River and enters into a race with the King of the Wild Frontier. In the second, the pair of kings team up to take on pirates that have been plaguing the river. When it comes to the theme parks however, Mike Fink and his recognizable keelboats, the Gullywhumper and Bertha Mae, began plying the waters of Disneyland in December of 1955 and were an opening day fixture of Walt Disney World in 1971. Although the boats themselves have been retired at both parks since 1997, Mike Fink still has a presence along the banks of the Rivers of America. At the foot of Big Thunder Mountain, viewable from the deck of the Liberty Belle or from Tom Sawyer Island, is a small dock run by none other than Mike Fink. Claiming both freight and passenger services, the King of the River still calls the waterways home in the Magic Kingdom, if only in name. The details that fill the empty spaces, completing the stories of Walt Disney World never sparkle more than at night. This is especially true of the lampposts in Epcot’s World Showcase. Unlike their culturally diverse brethren, the lights in Future World are not always as distinct. There are short, half lamps that have populated the footpaths of Future World since the park’s opening in 1982. Then there are a few scattered lamps, full-sized, that add to the scenes they inhabit. From the street lamps of Test Track to the oddly branched lanterns of Imagination, the lampposts of Future World light the way forward, illuminate the tales presented and are terrific details worth looking up for. The Main Street Bakery has long been the hot spot for baked goods in Walt Disney World, but there is a new destination for savvy baked goods connoisseurs. Tucked away in a corner of Pollo Campero at Downtown Disney, and without a sign on the exterior of the restaurant, is a bakery secret that is sure to become a fast favorite, BabyCakes NYC. When you hear the words alternative bakery, most people cringe. However, I call BabyCakes NYC an alternative bakery because it totally rocks! If they didn’t tell you that their sweet treats were organic and didn’t contain white sugar or common allergens, such as wheat, dairy or eggs, you would never be the wiser. Trust me. To make sure that I was giving the BabyCakes NYC bakeshop a thorough review, I recently sampled a doughnut, cookie sandwich, cupcake and a frosting shot (provided to my wife for being a Walt Disney World Half-Marathon participant). The small group I taste tested with literally sat gnawing at the air while I photographed the goods, they looked that good. The cookies of the cookie sandwich, for being rather thin, contained both a great crunch and a chewiness that I look for in a well prepared cookie. The high quality of ingredients shined through in the lemon coconut doughnut, giving it just the right amount of bite and an airy, fluffy texture. The brownie cupcake with vanilla buttercream, however, stole the show. Even though the cupcake itself was a bit crumbly, the dessert was rich, moist, and filled with chocolatey goodness. While there are other BabyCakes NYC throughout the country, the destination in Downtown Disney brings new life to Walt Disney World. It serves health conscientious foods, it provides delicious dishes for guests with allergies and health concerns, it connects with its customers through a stellar use of social media (remember the frosting shot my wife received? I heard about the freebie on Twitter. ), and even provides a glimpse into their process by having a window into their kitchen. BabyCakes NYC at Downtown Disney opens at 8:00am, the perfect time for that cup of coffee and a scrumptious doughnut, and serves guests until 11:00pm for those after dinner desserts. BabyCakes NYC founder, Erin McKenna, was ecstatic to bring her baked goods to Walt Disney World, but for my money and palate, it is the guests of Walt Disney World that should be over the moon at her bakery’s arrival.